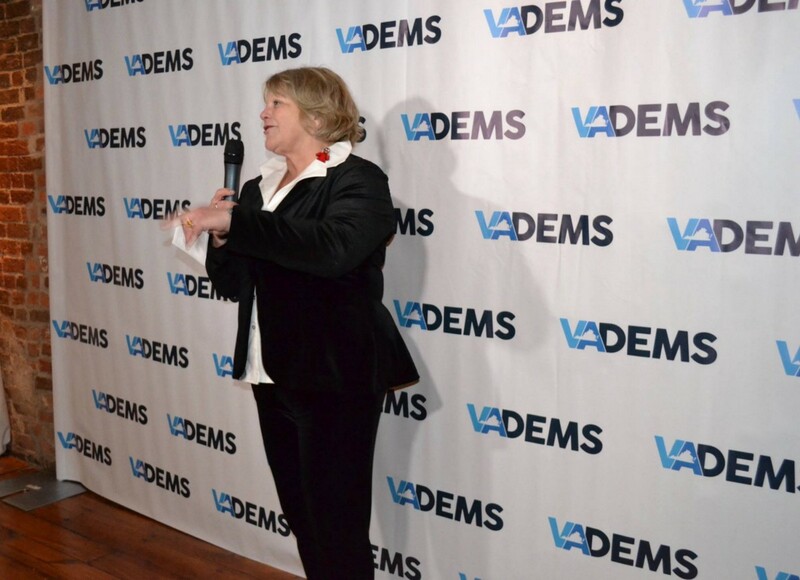 This past weekend the Steering and Central Committees of the Democratic Party of Virginia met in Richmond. 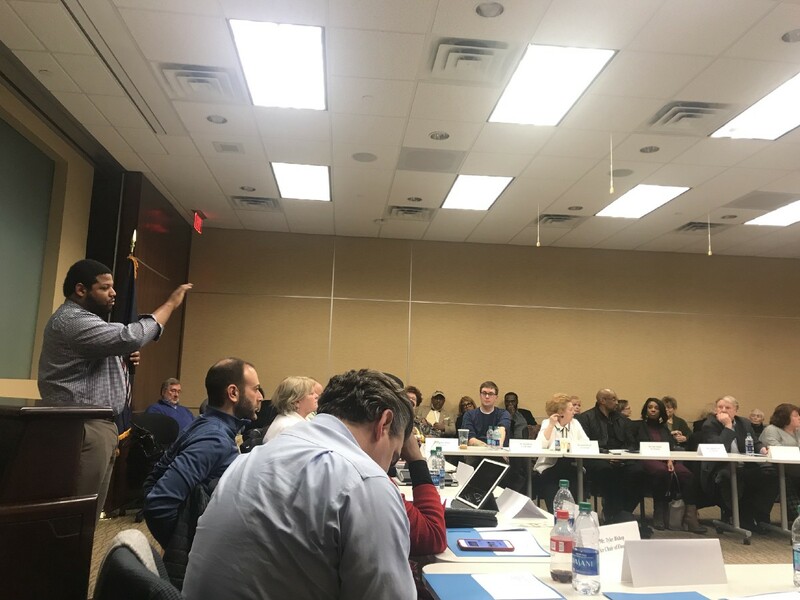 On Friday night, Chairwoman Susan Swecker, Chris Bolling, and DPVA staff each gave updates to the Steering members during their meeting and discussed strategy heading into the 2019 election cycle. 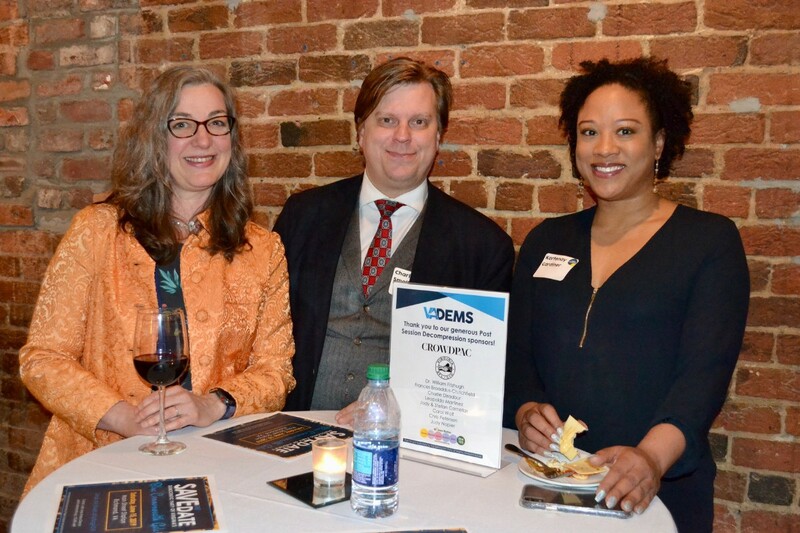 After adjourning, attendees headed over to the Post Session Decompression at Sam Millers, to join fellow Democrats and elected officials in celebrating the close of the 2019 General Assembly Session. 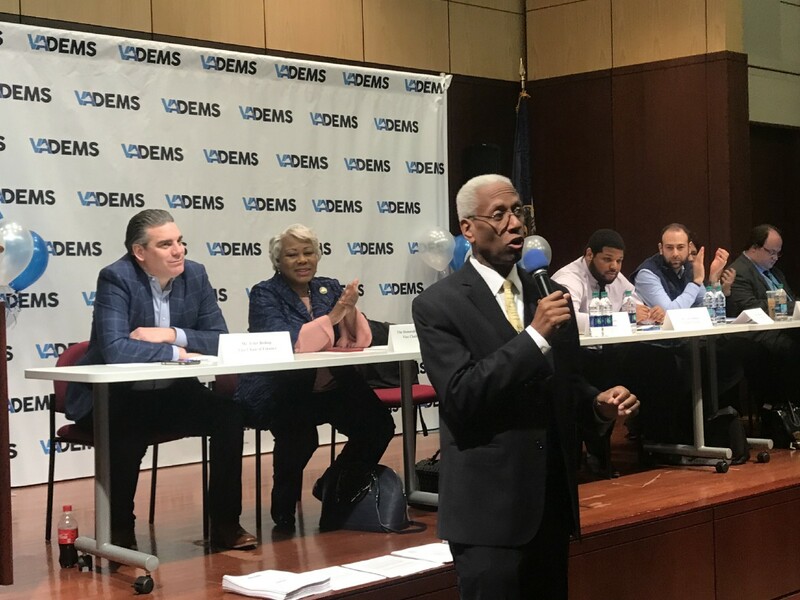 On Saturday, the Central Committee convened in downtown Richmond with special guests, Congressman Donald McEachin and Mayor of Richmond Levar Stoney, who got attendees excited about the 2019 elections and their importance in our Commonwealth and nation. 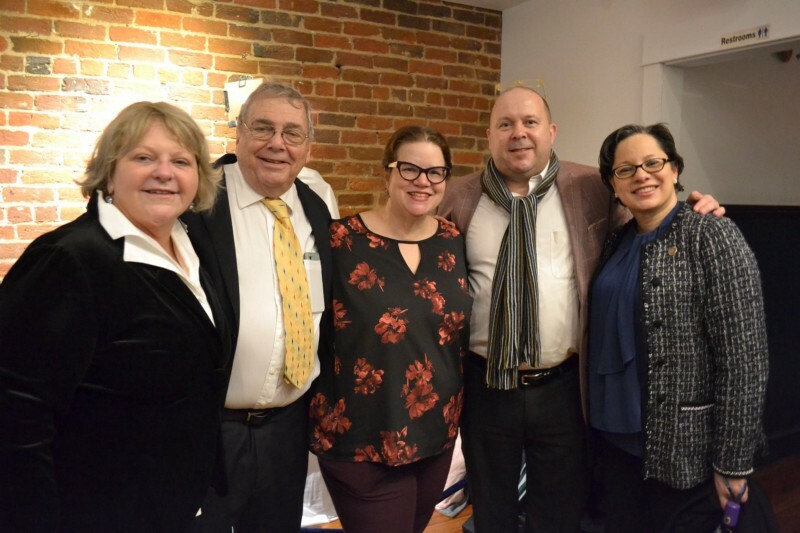 This event was a huge success and we want to thank all of our sponsors and attendees for spending their evening in Richmond at Sam Millers with us. 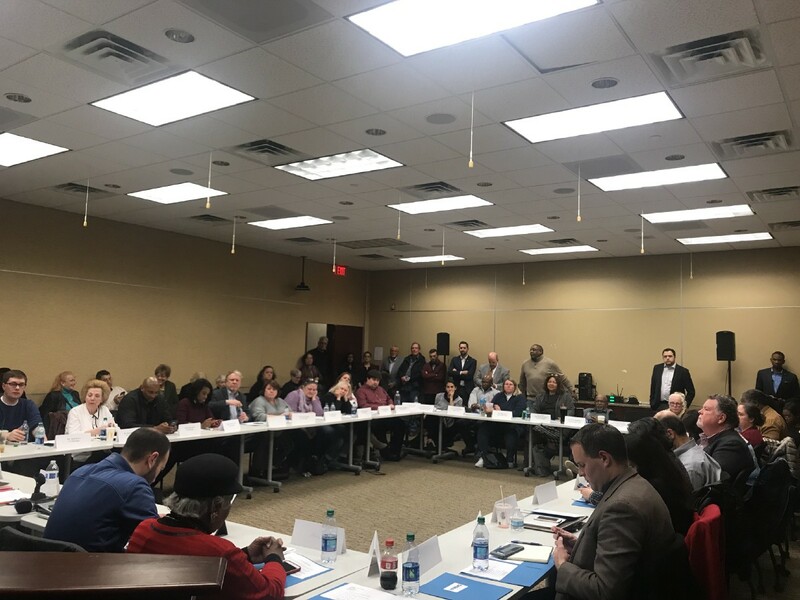 It was a great night of elected officials and fellow Democrats joining together to talk about the 2019 General Assembly session legislative successes, what we have to look forward to this November, and beyond! Click here to view the full album from the event. 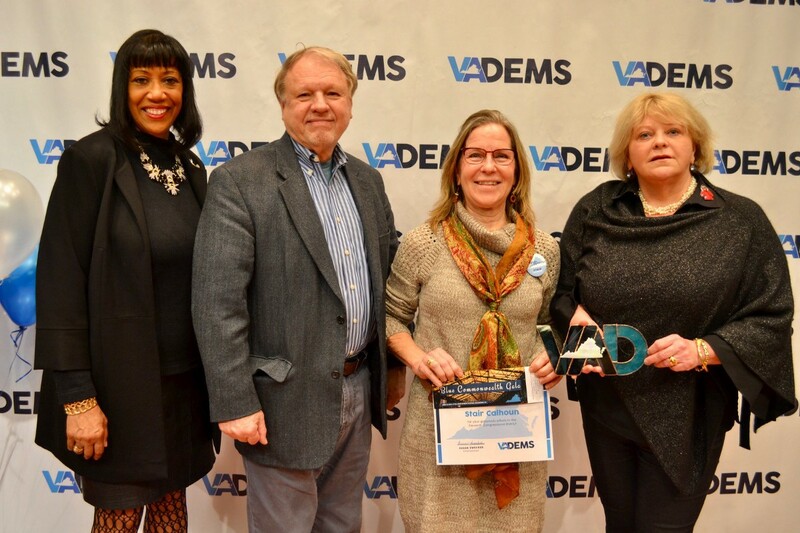 Prior to the State Democratic Central Committee’s quarterly meeting, Democratic Party of Virginia Chairwoman Susan Swecker announced the 2018 winners of theDPVA Grassroots Awards. 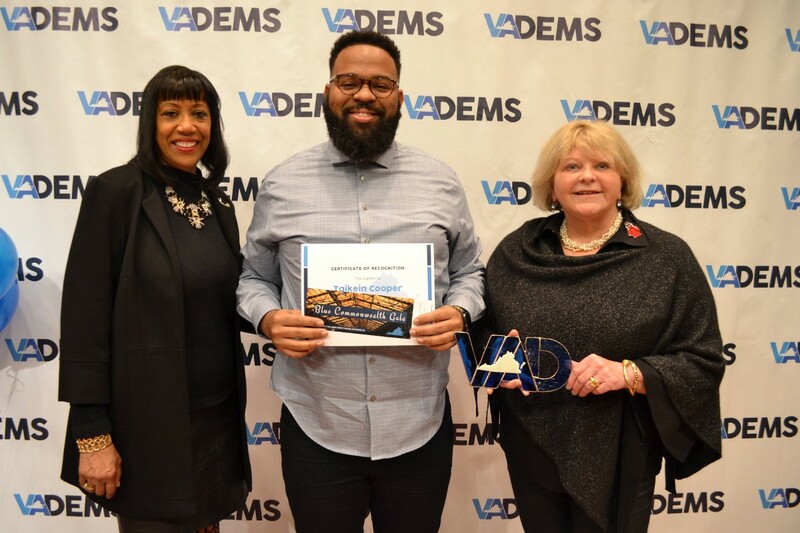 Congressional District Committees across the Commonwealth selected an awardee in their District whose tireless volunteer efforts in the 2018 election cycle exemplified the spirit of our Party and helped push Virginia forward in their community. 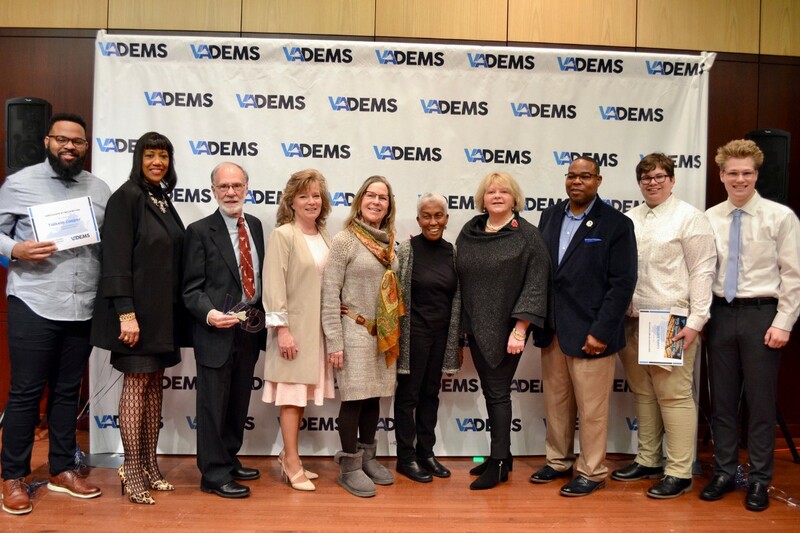 These outstanding Democrats received their recognition this morning in Richmond. “We are a bottom-up organization. 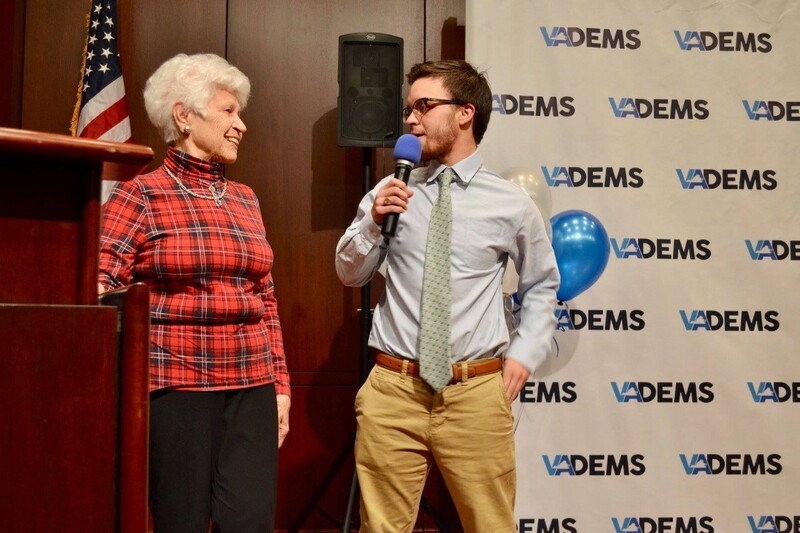 The incredible victories we achieved last year — electing three fantastic congresswomen helping flip our Congressional delegation blue and re-electing our great Senator Tim Kaine — could not have happened without the labor of love that these amazing volunteers did in their community for our candidates. 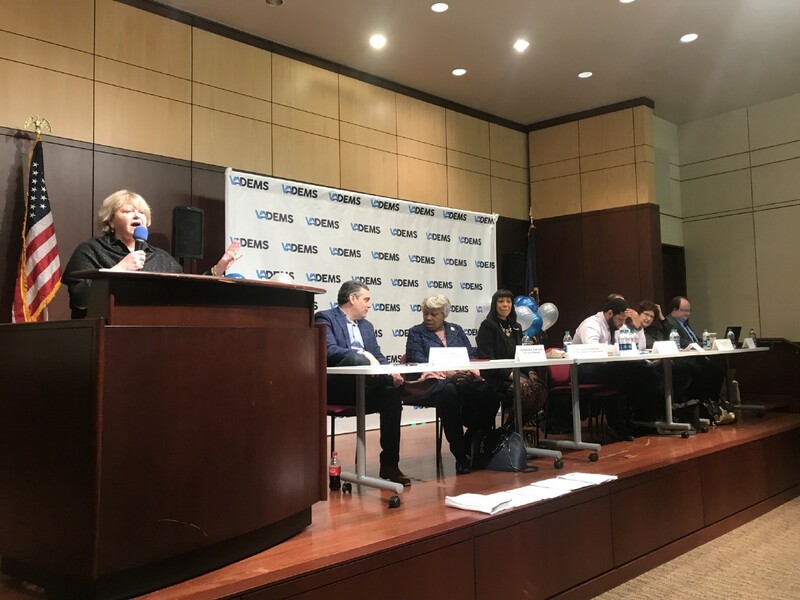 Congratulations to all those who were honored today — the recognitions were all richly deserved.” — DPVA Chair Susan Swecker. Click here to view the full album of photos from the ceremony. 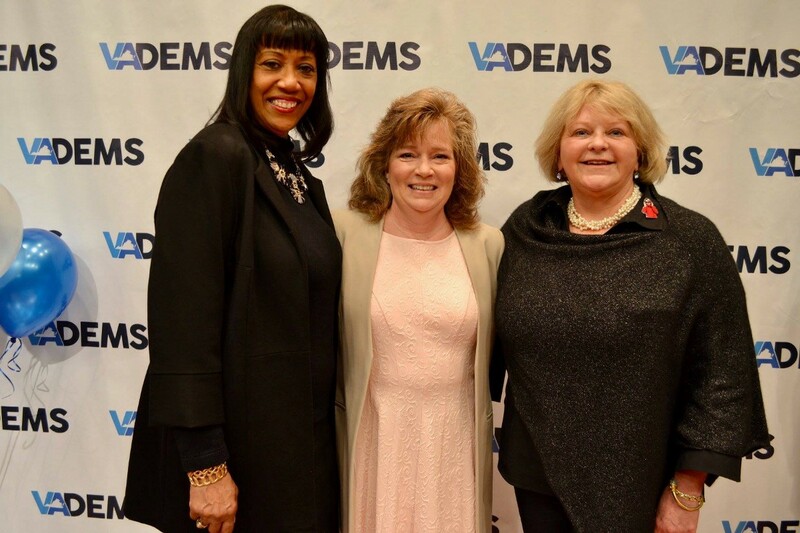 Last year, the Democratic Party of Virginia partnered with the National Democratic Training Committee to hold a full day candidate training in Northern Virginia as a part of the Pat Jennings Project. 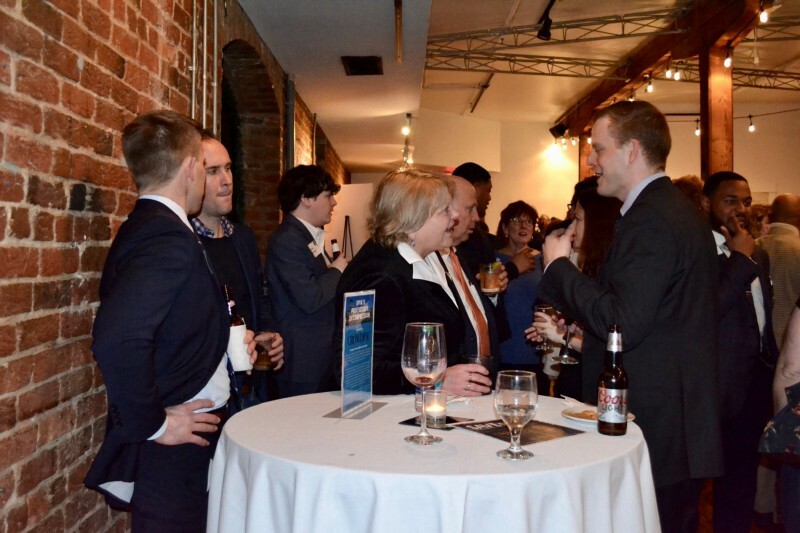 With over 100 people in attendance, it was an immense success. We are excited to announce to you all that we will be partnering with them again to hold another training on April 6th at Virginia Tech. Topics we’ll be covering will include Communications, Field, Fundraising, Digital Organizing, and VAN. This is an amazing, and cost free opportunity for people who are interested in running for office to learn about the many different facets of a strong campaign. But by making anti-corruption their №1 priority, House Democrats are throwing down the gauntlet for Republicans. A vast majority of Americans want to get the influence of money out of politics, and want Congress to pass laws to do so. New polling from the PAC End Citizens United found 82 percent of all voters and 84 percent of independents said they support a bill of reforms to tackle corruption. Given how popular the issue is, and Trump’s multitude of scandals, it looks bad for Republicans to be the party opposing campaign finance reform — especially going into 2020. HR 1 will be formally introduced later today by Pelosi, Sarbanes, and chairs of the committees of jurisdiction for the bill: Reps. Elijah Cummings (D-MD), Zoe Lofgren (D-CA), and Jerry Nadler (D-NY). The bill will make its way through their committees in the coming weeks; Sarbanes hopes to have a final floor vote done later this month or early February. The bill covers three main planks: campaign finance reform, strengthening the government’s ethics laws, and expanding voting rights. Here’s the important part of each section. Support for a constitutional amendment to end Citizens United. Passing the DISCLOSE Act, pushed by Rep. David Cicilline and Sen. Sheldon Whitehouse, both Democrats from Rhode Island. This would require Super PACs and “dark money” political organizations to make their donors public. Passing the Honest Ads Act, championed by Sens. Amy Klobuchar (MN) and Mark Warner (VA) and introduced by Rep. Derek Kilmer (D-WA) in the House, which would require Facebook and Twitter to disclose the source of money for political ads on their platforms and share how much money was spent. Disclosing any political spending by government contractors and slowing the flow of foreign money into the elections by targeting shell companies. Restructuring the Federal Election Commission to have five commissioners instead of the current four, in order to break political gridlock. Prohibiting any coordination between candidates and Super PACs. Requiring the president and vice president to disclose 10 years of his or her tax returns. Candidates for president and vice president must also do the same. Stopping members of Congress from using taxpayer money to settle sexual harassment or discrimination cases. Giving the Office of Government Ethics the power to do more oversight and enforcement and put in stricter lobbying registration requirements. These include more oversight into foreign agents by the Foreign Agents Registration Act. Creating a new ethical code for the US Supreme Court, ensuring all branches of government are impacted by the new law. Creating new national automatic voter registration that asks voters to opt out, rather than opt in, ensuring more people will be signed up to vote. Early voting, same-day voter registration, and online voter registration would also be promoted. Making Election Day a holiday for federal employees and encouraging private sector businesses to do the same, requiring poll workers to provide a week’s notice if poll sites are changed, and making colleges and universities a voter registration agency (in addition to the DMV, etc), among other updates. Ending partisan gerrymandering in federal elections and prohibiting voter roll purging. The bill would stop the use of non-forwardable mail being used as a way to remove voters from rolls. Beefing up elections security, including requiring the director of national intelligence to do regular checks on foreign threats. Recruiting and training more poll workers ahead of the 2020 election to cut down on long lines at the polls. HR 1 is intended to be a large package, but Sarbanes said in addition to passing it as the first bill, members will likely break out pieces of it into smaller bills that individually could get bipartisan support from Republicans in the Senate — things including the Honest Ads Act and boosting election security. Read the full article with the link above. In the 2018 midterm elections we saw more women and people of diverse backgrounds run for office and win elections than ever before. As a result, we are starting to see a government that looks more like the people it represents. To continue building a democracy that better reflects our country, more everyday Americans should have the opportunity to run for office. But time and time again we see the candidates with the deepest pockets win elections. Right now, there is sweeping legislation moving through the House of Representatives that stands to change that. The For the People Act, also known as H.R. 1, includes a public financing system for elections that will level the playing field for all candidates. This alternative system for political fundraising will create small donor, public matching funds for congressional and presidential candidates — rebalancing our system so ‘big money’ doesn’t decide who gets a seat at the table. That means more people from traditionally underrepresented backgrounds — women, people of color, and low-wage earners — could find it easier to run for office. For many female candidates, fundraising continues to be a challenge, and the idea of raising money deters them from running in the first place. While male candidates overwhelmingly possess networks of moneyed connections or the means to self-fund their campaigns, women often must rely on small donations. Small donor, public matching funds provide an opportunity for candidates to consider running for office who otherwise might not. Under the proposed system, candidates who participate in the program receive a six-to-one match on qualifying funds. This means that a $20 donation to a campaign becomes $120 with the matching funds. This public support releases candidates from dependence on special interests and large dollar funders, allowing them to run without strings attached. This fund matching concept isn’t a new idea. Maine has had volunteer public funding for gubernatorial and state legislature candidates since 1996, when the League of Women Voters of Maine led a coalition effort to pass the Maine Clean Election Act. In 2015, the League of Women Voters Seattle championed and Seattle voters passed an initiative that created a voucher program for local elections. The Honest Elections Seattle law provides each registered voter with a $25 Democracy Voucher, which Seattle residents can use to support participating candidates running for city office. While these advancements are the exception — they should and could become the norm. For far too long, politicians have had to rely on deep pocket contributions to run their campaigns, a system which effectively bars candidates without ‘big money’ connections from competitively running. Too often, this prevents women from being elected to represent their communities. Now we have an opportunity to make our system more representative. If we want to build a democracy is that is truly FOR the people — it needs to be reflective OF the people. We need more diverse voices speaking up for their communities, and we want to continue to see that reflected in elected officials. That means we must break down barriers that stand in the way for promising and qualified candidates with goals of becoming elected officials. We must free candidates from depending on ‘big money’ to run competitive campaigns. Elections shouldn’t be about money. Elections must be about the issues that are important to American voters. No one should be sidelined from running for office because they don’t have millionaire friends, and connections to corporate interests shouldn’t be a prerequisite for elected office. The small donor, matching funds provision of the For the People Act will empower more diverse dedicated and passionate citizens to run for office and work on behalf of all Americans. This provision is critical to ensuring our elections are open to candidates of all types — not just those with deep pockets. Voting is an integral part of our democracy. Elections are the means by which Americans choose their elected leaders and what they want from their government. But today, the right to vote is increasingly under siege. Republican governors and state legislatures across the country have suppressed voting in communities of color, and among poor people, seniors, and people with disabilities using targeted, racist voting laws. They have intentionally rigged our system of free and fair elections in their favor. As we saw across the country, especially in Georgia, North Carolina, and my home state of Texas, discriminatory voting laws are silencing Americans and influencing key elections. The November midterms were marred by understaffed polling sites, voter intimidation and harassment, and failure to set up polling locations in certain counties, including the Texas county of Waller, which in 2017 had the second-highest African American population in Texas. Republicans know they lose elections when more Americans have access to the ballot, so they suppress the vote out of desperation to maintain their grip on power, against the will of the people. Senate Majority Leader McConnell went as far as to call it a “power grab” to make Election Day a national holiday. McConnell is normally calculated and strategic but this time he’s shown us his hand. As a direct result of Democrats’ success in 2018, Republicans are working even harder to limit Americans’ participation in their own democracy. They are reviving extreme identification requirements and purging voter rolls. If Democrats fail to act, we run the real risk of backsliding into voting restrictions that resemble the Jim Crow era. H.R. 1 will increase access to the ballot box, end gerrymandering, and limit the influence of big money in politics. This omnibus package is Democrats’ promise to the American public to create real lasting voting reform, to eliminate discriminatory voting laws, and make critical investments in election infrastructure and technology. Within H.R. 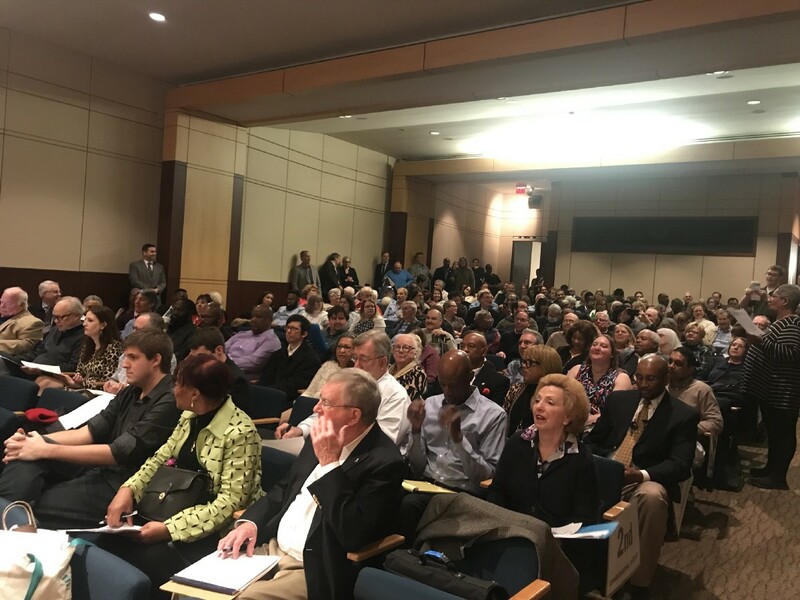 1, I’ve included two measures: one to eliminate barriers to voting by requiring the United States Postal Service to carry absentee ballots free of charge; another to reduce the damage done by suppressive voter ID laws across the country that restrict Americans’ right to vote by creating new protections for voters arriving at the polls. The bill will require the 35 states with voter ID laws to allow voters arriving at polls, without the identification required by their state, to provide a sworn written statement affirming their identity. This, along with other provisions within H.R.1 to create automatic voter registration, will limit the power of restrictive voter ID laws. These initiatives are crucial to the health of our democratic institutions. Democrats know we need to counter the Republican culture of voter intimidation. We also need to invest in technological advancements and repeal discriminatory voting laws. In order to do that, we must restore public confidence that everyone’s vote and voice counts. H.R. 1 will help us accomplish this. So will the next generation of activists, galvanized by civil rights leaders like Congressman John Lewis and Stacey Abrams, who have risen up and demanded more from our country and our democracy. Earlier this month, I participated in a voter-engagement hearing in Brownsville, TX, and was able to share this country’s history of voter suppression with the next generation of Texans. I told them that their voices can change the direction of this country. And come 2020, it will. The politics of HR 1, the House Democrats’ gargantuan effort to bolster the basic functions of American democracy, are controversial. The facts underlying the legislation’s most important provisions are substantially less so. Many of these ideas have been promoted in previous legislation. Not every proposal in the bill is vital, or even necessary. Some, such as a call for public subsidies of campaigns, are familiar sources of partisan rancor. But most of the provisions in this vast bill address genuine weaknesses in American democracy and attempt to make the system fairer, more transparent and, in light of the multifaceted Russian attack on the election of 2016, more secure. The case for easing registration, with automatic registration, same-day registration and other conveniences, is readily grasped, as is the argument for easier voting, including early voting and vote-by-mail. Encouraging citizens to become voters enlarges the electorate and binds more Americans to the democratic project. The bill would make purges of voter rolls more difficult by requiring more stringent checks before a registered voter’s name can be removed, and by requiring a state’s cross-check of names on out-of-state voter databases to be completed no later than 6 months before an election. To make voting more convenient for more people, HR 1 would make Election Day a federal holiday. The Best Practices Institute is excited to announce the launch of our 2019 Train the Trainer (T3) Webinar Training Program! T3 is a free six-week, twelve-part webinar course, covering all aspects of grassroots campaigning. 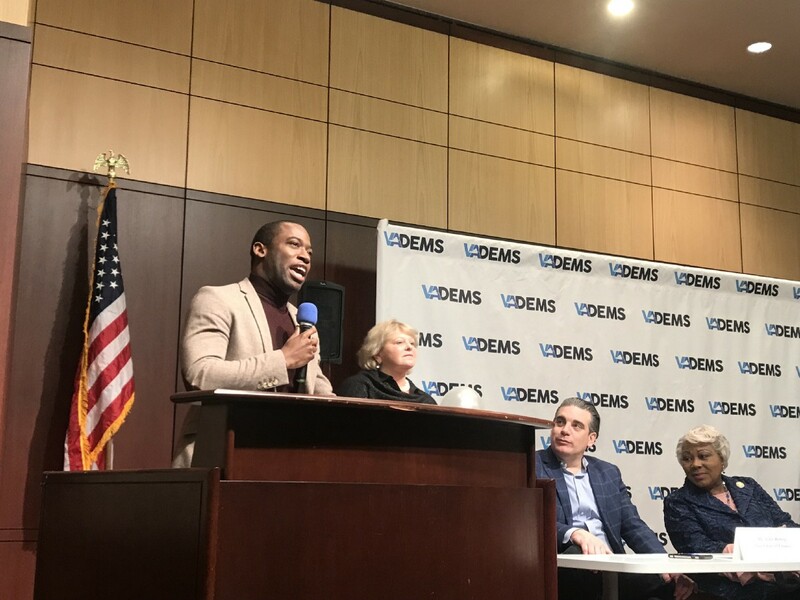 This program seeks to expand the skills of progressive activists and volunteers, by ensuring that comprehensive training is free and accessible for Democrats all over the country. Register for T3 today, and help us take our country back in 2020! T3 trainings are held every Tuesday and Thursday at 7:00 p.m. ET, from April 16, through May 23. The deadline to register is Sunday, April 14 at 12:00 a.m. ET. Participants must complete all twelve sessions in order to receive certification. All training sessions will include a skills test to track retention and participation. Trainings will be recorded and made available following each session via a weekly wrap-up email, delivered on Fridays. 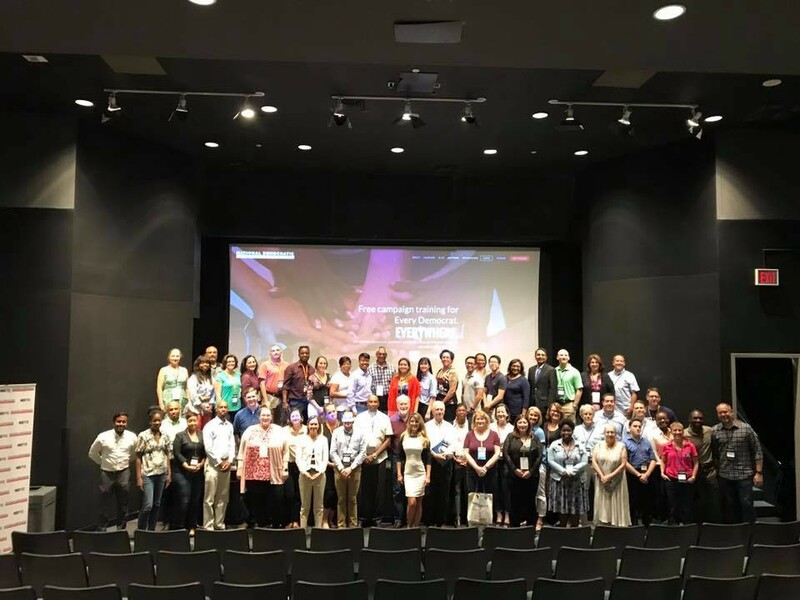 CLICK HERE to submit your registration for the 2019 T3 Training Program! Registration will close at 12:00 a.m. ET, on Sunday, April 14. 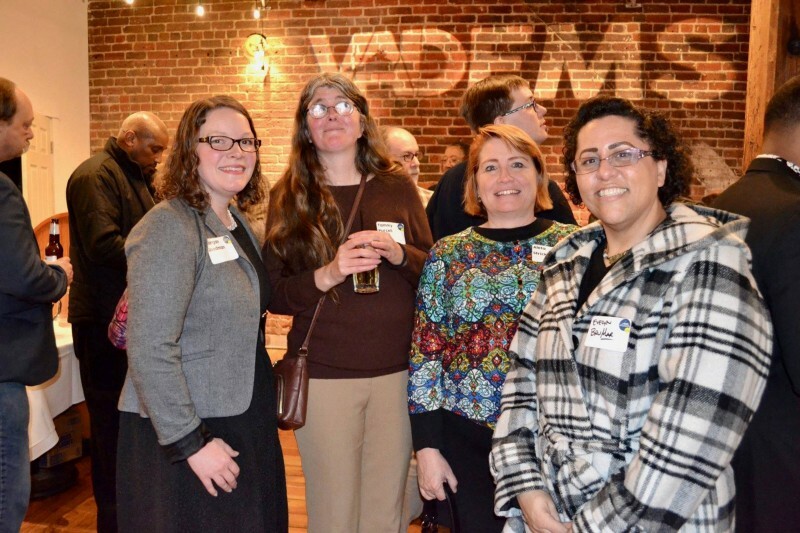 To get your event added to the DPVA website and the newsletter, email digital@vademocrats.org with event details! 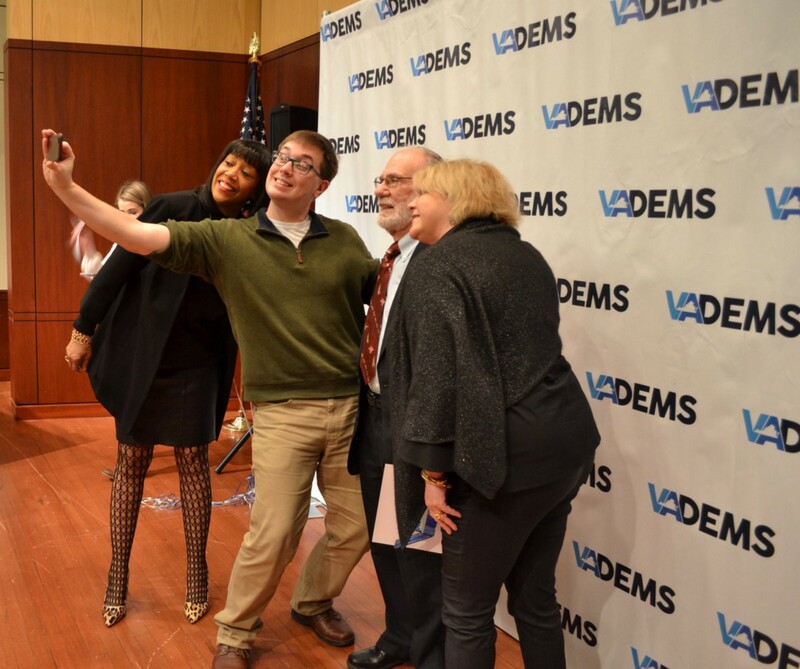 Official Medium account of the Democratic Party of Virginia.